I've been a huge fan of the writing of Clive Cussler and his main character Dirk Pitt ever since many many moons ago my sister bought me a copy of Vixen 03 for my birthday, I loved it and then bought his most well known novel Raising Titanic before going back to the start and buying as it was called Mayday. This new hardback edition of the novel is to celebrate the 40th anniversary of the original story which is quite a milestone and while I still have a rat eared paperback I don't mind buying a nice pristine hardback rather than go the e-book route. This isn't a jab any particular corporate publishing house or for that matter a smaller concern but the price of e-books is ridiculous and since I've spent more on the hardback then perhaps their marketing and pricing gurus know what they are doing! 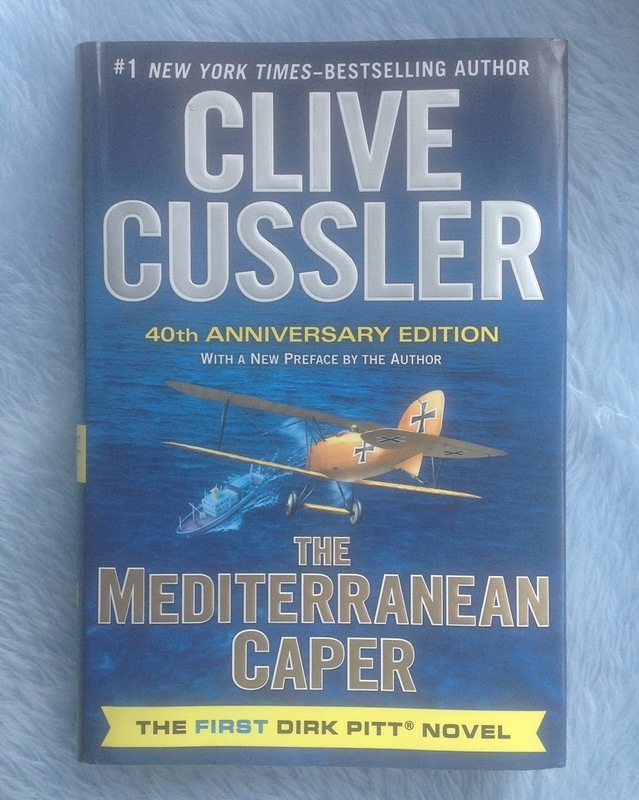 This novel was released in the UK as "Mayday" and tells the rather low key story (compared to Dirk's later adventures) of a global smuggling operation centred around a small Greek island which hosts a US air base and after it is attacked by a machine gun toting WW1 bi-plane the the mystery beckons to Dirk and Al to NUMA employees who get caught in the middle. It's a fun read and reminds you of the simply days for Dirk and his best friend Al before they really started to get into serious trouble and the Titanic was only one of their later adventures.